Manufacturers often avoid incorporating digitization and connectivity to their machine floors via ERP platforms to improve their ROI. Of Course, it is challenging and also asks for a little extra investments but it has already been proven that the ROI recorded was significantly high whenever a manufacturer has deployed digitization in context of collecting the real time machine data. Apparently, most owners of the manufacturing firms are disconnected with what is going on in their factories, specifically in the engineering departments and the rate of workflow in various varied sections of their manufacturing establishment. Apparently, Enterprise Resource Planning Software’s use within the large and medium sized manufacturing firms has increased many folds as compared to its use about 5 years ago. Besides, this also leads towards the creation of lag times for the management to analyze, strategize or act according to the real-time observations of process flow in various departments. 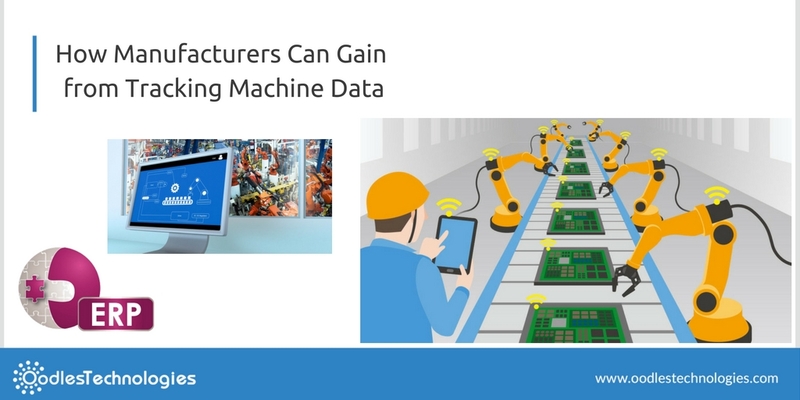 Your firm’s ERP could help you make near future development strategies, but if the machines on the shop floors too get connected to the ERP system then the impact it would create could be magical because you will be able to collect machine data in real time. Real time tracking can prove to be beneficial because it will pave the way to receive the current information regarding the depleting inventory, the current rate of depletion of inventory, real time supply chain statistics and customer behaviour and expectations. And if you have these statistics with you, that simply means there are negligible chances of any mishap in the working and productivity of your firm. The machines which many of the manufacturers are currently using are old and cannot support internet connectivity. One major factor could be the complexity involved and the extra investment to incur for the digitization process. The traditional mindset which always supports for Resistance to Change can be the other factor. However, many of these not so old machines can be made compatible to connectivity by incorporating a few upgradations and minor changes in their shape and structure. Connecting these machines to the centralized ERP system is very vital to the company’s growth, efficiency and productivity which most of the owners and managers fail to understand. If Machine Data gets stored in the database of the ERP in real time, then it will become so easy for the management to know the current state of workflow in each and every department of the organization and to work and strategize accordingly. However, most of the newer equipments comes with internet compatibility. GE and Siemens, one of the most renowned and reputed manufacturing firms are already working towards standardizing platforms to enable machine to machine communication. ERP vendors are taking full advantage of the situation as they know it very well that the manufacturers are slowly and steadily falling for machine to machine connectivity and digitization of their machine shop floors to optimize the growth and efficiency. According to Mike Lackey, global vice President(Solutions Management) at SAP - “The true value of digital transformation is tying all the machines together to see what they are producing, the cost structure, performance, and the quality of the output. You can’t look at the data off the machines in silos”. The future manufacturing will be driven by the complete digitization of all the machines in the manufacturing plants with every single machine connected to the other via internet and all of them together transporting the digital data to the central ERP system which will show the real-time results to managers on their PC or laptop screens. The most critical activities in the manufacturing process consists of integration of MES/MOM (manufacturing execution system / manufacturing operations system) layer with the architecture as well as the supply chain data integration. Secondly, production development process is what that gets affected immensely. The digitization process would lead to the integration of data across various development platforms and stakeholders to enable virtual builds of newer products and the virtual verification of new processes. With all the manufacturing and engineering processes been digitized and connected nowadays, under SAP, it’s called component of Industry 4.0. And the biggest advantage fetched out of Industry 4.0 is that all the stakeholders, from the customers to the professionals who have designed and built the unit come on the same page. Besides, there are various tools available to measure ROI with digitization been incorporated to check the growth rates of the firm after the application of the said technology. Clearly, it would be advisable to manufacturers from all around the world to incorporate digitization as soon as possible to maximize efficiency. Further, it would also help to detect deviations in small volumes of time that could not be identified normally. ERP Software Companies worldwide are growing at a very fast pace in the wake of its ever expanding horizon in the present times.